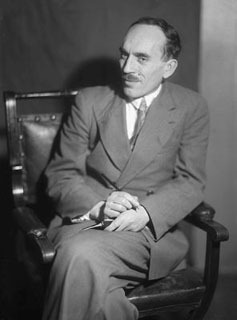 Russian physicist Nikolay Semyonov studied chemical reactions, and showed that most chemical transformations result from chain and branched-chain chemical reactions. His work on controlled explosions led to increased efficiency in automotive, jet, and rocket engines, and other industrial machinery. In 1927 he introduced the theory of branched chain reactions, explaining the character of an explosion, in which the number of chain carriers is increased with each propagation, causing the reaction to accelerate very quickly. He shared the 1956 Nobel Prize for Chemistry with Sir Cyril Hinshelwood. Semyonov was a staunch supporter of the Communist Party and the Soviet Union, and after The Bulletin of the Atomic Scientists criticized Soviet scientific censorship in 1953, he authored what was effectively the official Soviet response, denying that science or scientists were censored in the USSR in any way. He was the most famous signatory to a 1971 public letter from Soviet scientists to American President Richard M. Nixon, protesting perceived unfairness in the murder trial of Angela Davis. His name is sometimes presented in English as Semenoff, Semenov, Semionov, or Semyonova. 3-Apr-1896 per the old-style calendar, used in Russia until 1918.